The Department of Emergency Services hosted an All Hazards Type III Communications Unit Leader Training Program. 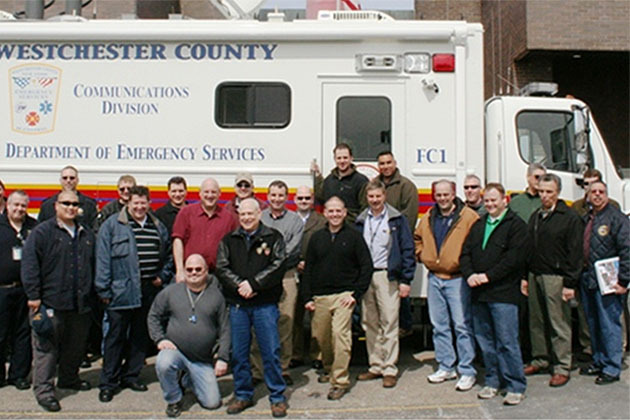 The training administered by the New York State Office of Interoperability & Emergency Communications was developed by the Department of Homeland Security to support emergency services communications during large scale events. The program is designed to assist local jurisdictions in developing plans for the effective use of incident communications equipment and facilities, managing the distribution of communications equipment to incident personnel, and coordinating the installation and testing of communications equipment during times of emergency. Agency participants represented the City of New York, State of New York, Delaware, Orange, Putnam, Rockland, Suffolk and Westchester Counties, respectively.